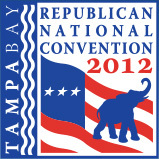 As part of the security measures in place for this week’s Republican National Convention, Tampa police will be employing behavior recognition cameras to help them conduct surveillance. As reported by WSOC TV, Charlotte-based BRS Labs designed the technology, called AISIGHT. This software connects to existing video surveillance systems through artificial intelligence. The system will give police officers the ability to keep tabs on unusual or suspicious behavior around the clock. BRS Labs is in talks with security planners to implement the technology at the Democratic National Convention too.